Horoscopes for the week of October 22–28, 2015. Aries (March 21–April 19): According to the online etymological dictionary, the verb "fascinate" entered the English language in the 16th century. It was derived from the Middle French fasciner and the Latin fascinatus, which are translated as "bewitch, enchant, put under a spell." In the 19th century, "fascinate" expanded in meaning to include "delight, attract, hold the attention of." I suspect you will soon have experiences that could activate both senses of "fascinate." My advice is to get the most out of your delightful attractions without slipping into bewitchment. Is that even possible? It will require you to exercise fine discernment, but yes, it is. Taurus (April 20­–May 20): One of the largest machines in the world is a "bucket wheel excavator" in Kazakhstan. It's a saw that weighs 45,000 tons and has a blade the size of a four-story building. If you want to slice through a mountain, it's perfect for the job. Indeed, that's what it's used for over in Kazakhstan. Right now, Taurus, I picture you as having a metaphorical version of this equipment. That's because I think you have the power to rip open a clearing through a massive obstruction that has been in your way. Gemini (May 21–June 20): Filmmaker Alfred Hitchcock did a daily ritual to remind him of life's impermanence. After drinking his tea each morning, he flung both cup and saucer over his shoulder, allowing them to smash on the floor. I don't recommend that you adopt a comparable custom for long-term use, but it might be healthy and interesting to do so for now. Are you willing to outgrow and escape your old containers? Would you consider diverging from formulas that have always worked for you? Are there any unnecessary taboos that need to be broken? Experiment with the possible blessings that might come by not clinging to the illusion of "permanence." Cancer (June 21–July 22): Terence was a comic playwright in ancient Rome. He spoke of love in ways that sound modern. It can be capricious and weird, he said. It may provoke indignities and rouse difficult emotions. Are you skilled at debate? Love requires you to engage in strenuous discussions. Peace may break out in the midst of war, and vice versa. Terence's conclusion: If you seek counsel regarding the arts of love, you may as well be asking for advice on how to go mad. I won't argue with him. He makes good points. But I suspect that in the coming weeks you will be excused from most of those crazy-making aspects. The sweet and smooth sides of love will predominate. Uplift and inspiration are more likely than angst and bewilderment. Take advantage of the grace period! Put chaos control measures in place for the next time Terence's version of love returns. Leo (July 23–Aug. 22): In the coming weeks, you will have a special relationship with the night. When the sun goes down, your intelligence will intensify, as will your knack for knowing what's really important and what's not. In the darkness, you will have an enhanced capacity to make sense of murky matters lurking in the shadows. You will be able to penetrate deeper than usual, and get to the bottom of secrets and mysteries that have kept you off-balance. Even your grimy fears may be transformable if you approach them with a passion for redemption. Virgo (Aug. 23–Sept. 22): New friends and unexpected teachers are in your vicinity, with more candidates on the way. There may even be potential comrades who could eventually become flexible collaborators and catalytic guides. Will you be available for the openings they offer? Will you receive them with fire in your heart and mirth in your eyes? I worry that you may not be ready if you are too preoccupied with old friends and familiar teachers. So please make room for surprises. Libra (Sept. 23–Oct. 22): More than any other sign, you have an ability to detach yourself from life's flow and analyze its complexities with cool objectivity. This is mostly a good thing. It enhances your power to make rational decisions. On the other hand, it sometimes devolves into a liability. You may become so invested in your role as observer that you refrain from diving into life's flow. You hold yourself apart from it, avoiding both its messiness and vitality. But I don't foresee this being a problem in the coming weeks. In fact, I bet you will be a savvy watcher even as you're almost fully immersed in the dynamic flux. 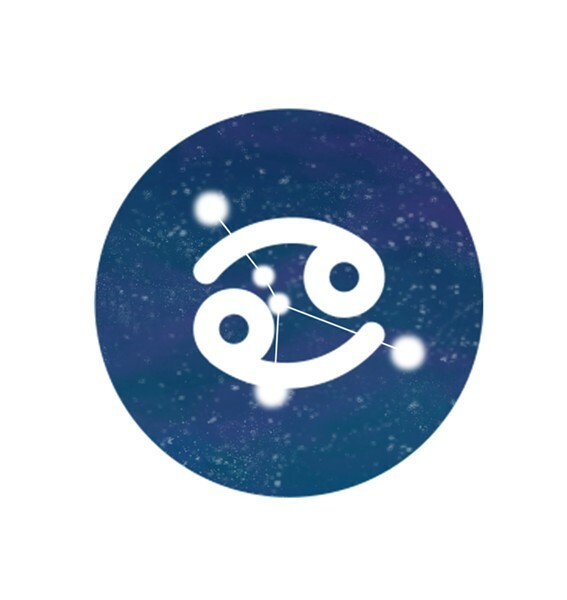 Scorpio (Oct. 23–Nov. 21): Are you an inventor? Is it your specialty to create novel gadgets and machines? Probably not. But in the coming weeks you may have metaphorical resemblances to an inventor. I suspect you will have an enhanced ability to dream up original approaches and find alternatives to conventional wisdom. You may surprise yourself with your knack for finding ingenious solutions to long-standing dilemmas. To prime your instincts, I'll provide three thoughts from inventor Thomas Edison. 1. "To invent, you need a good imagination and a pile of junk." 2. "Just because something doesn't do what you planned it to do doesn't mean it's useless." 3. "Everything comes to those who hustle while they wait." Sagittarius (Nov. 22–Dec. 21): Some unraveling is inevitable. What has been woven together must now be partially unwoven. But please refrain from thinking of this mysterious development as a setback. Instead, consider it an opportunity to reexamine and redo any work that was a bit hasty or sloppy. Be glad you will get a second chance to fix and refine what wasn't done quite right the first time. In fact, I suggest you preside over the unraveling yourself. Don't wait for random fate to accomplish it. And for best results, formulate an intention to regard everything that transpires as a blessing. Capricorn (Dec. 22–Jan. 19): "A waterfall would be more impressive if it flowed the other way," said Irish author Oscar Wilde. I appreciate the wit, but don't agree with him. A plain old ordinary waterfall, with foamy surges continually plummeting over a precipice and crashing below, is sufficiently impressive for me. What about you, Capricorn? In the coming days, will you be impatient and frustrated with plain old ordinary marvels and wonders? Or will you be able to enjoy them just as they are? Aquarius (Jan. 20–Feb. 18): Years ago, I moved into a rental house with my new girlfriend, whom I had known for six weeks. As we fell asleep the first night, a song played in my head: "Nature's Way" by the band Spirit. I barely knew it and had rarely thought of it before. And yet there it was, repeating its first line over and over: "It's nature's way of telling you something's wrong." Being a magical thinker, I wondered if my unconscious mind was telling me a secret about my love. But I rejected that possibility; it was too painful to contemplate. When we broke up a few months later, however, I wished I had paid attention to that early alert. I mention this, Aquarius, because I suspect your unconscious mind will soon provide you with a wealth of useful information, not just through song lyrics but other subtle signals, as well. Listen up! At least some of it will be good news, not cautionary like mine. Pisces (Feb. 19–March 20): When I advise you to get naked, I don't mean it in a literal sense. Yes, I will applaud if you're willing to experiment with brave acts of self-revelation. I will approve of you taking risks for the sake of the raw truth. But getting arrested for indecent exposure might compromise your ability to carry out those noble acts. So, no, don't actually take off all your clothes and wander through the streets. Instead, surprise everyone with brilliant acts of surrender and vulnerability. Gently and sweetly and poetically tell the Purveyors of Unholy Repression to take their boredom machine and shove it up their humdrum.